Irrighino has been one of my most appreciated projects: it’s a automatic irrigation system – based on Arduino Yun – with a web-based interface, optimized for smartphones. 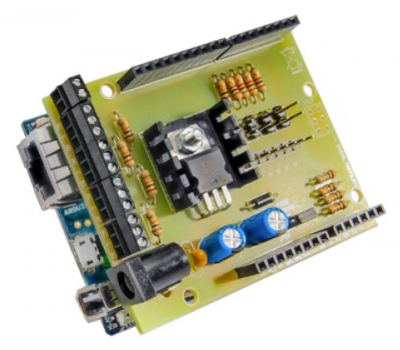 When it was launched the new Arduino Yun (named Rev.2) and the Yun Shield, the Linux distribution running on the board, OpenWrt, was updated as well. In particular, a key component for Irrighino has been replaced with its newer version, the php engine. If you own a “first generation” Arduino Yun and you’d like to test the new functionalities shipped with Rev.2, in this post I explain how you can update the operating system of your board! Final step is to configure the uhttpd webserver to run the php engine. Now the Yun is ready to run Irrighino! 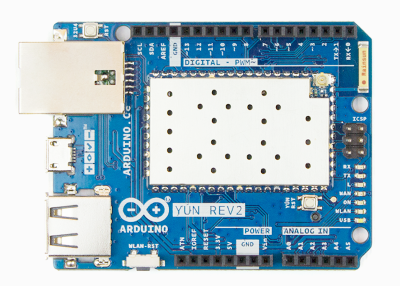 This year in March, Massimo Banzi announced on the Arduino blog the production of a new revision (Rev.2) of the Arduino Yun board. In addition to some improvements on the hardware design, the new revision offers a complete update of the software side of the Yun, that is the Linux distribution (OpenWrt) running on the board. The original Yun was indeed stuck to a distribution released in 2014 (still available in the download section of Arduino website) and that distribution contained outdated software packages which also presented some security vulnerabilites. 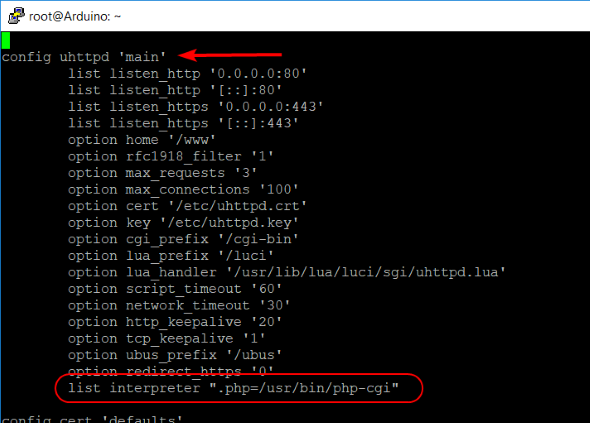 In the Arduino forum, Martino Facchin (one of the contributors of the OpenWrt porting to Yun) published a post with links to an automatic updater for the different platforms (Windows, Linux, Mac). The application updates both the bootloader and the operating system (rootfs). You have to also update the bootloader because of the new OS requires a bigger partition than the original one.